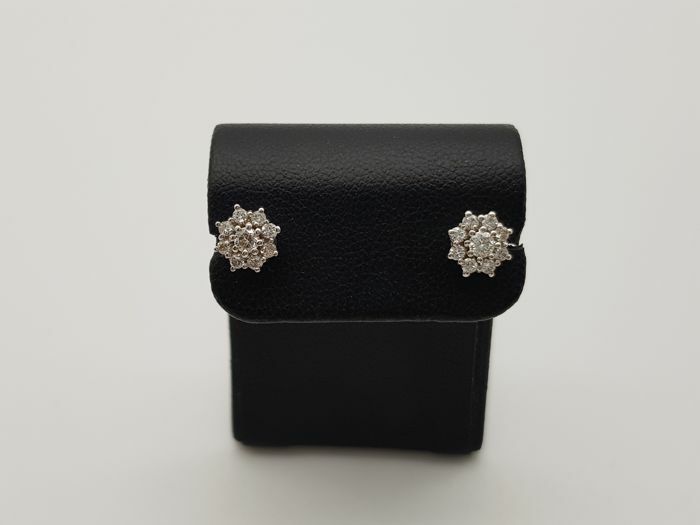 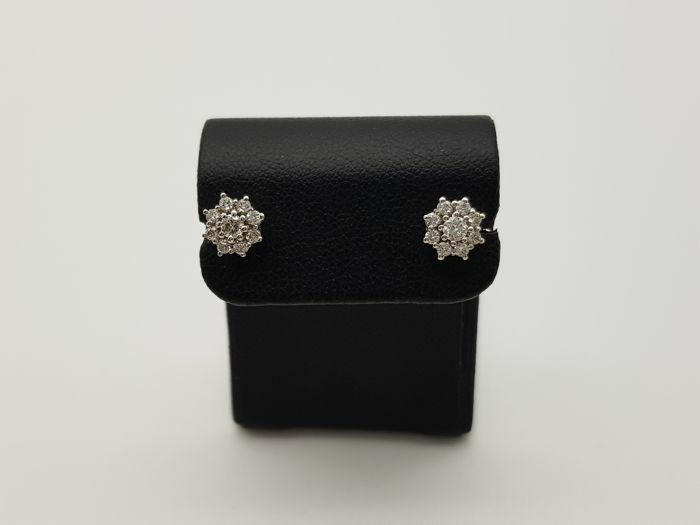 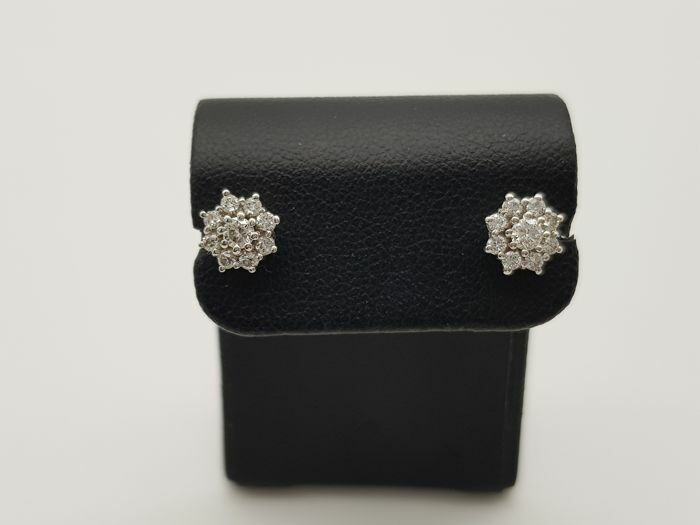 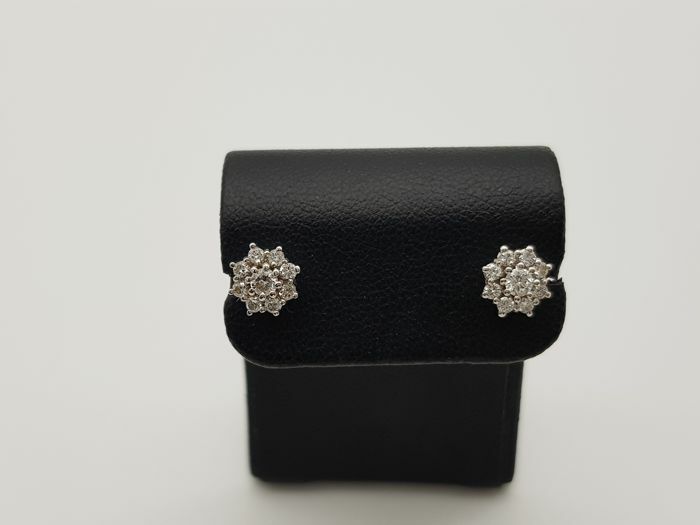 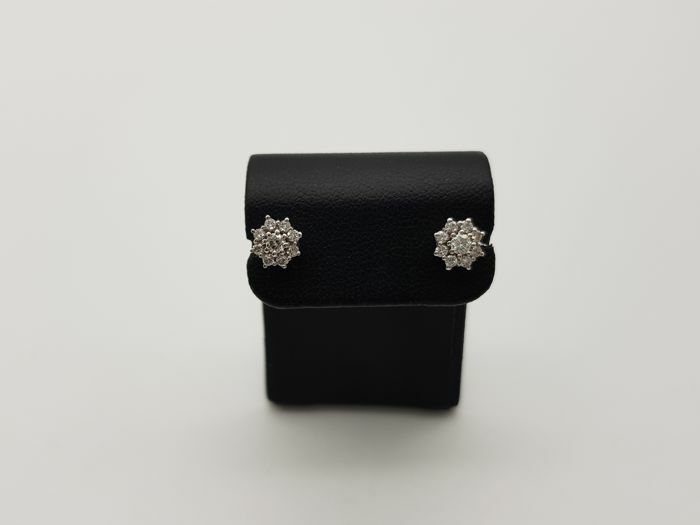 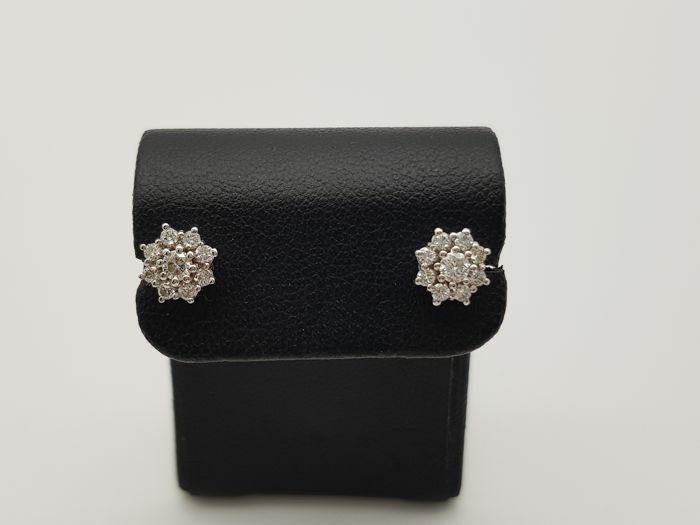 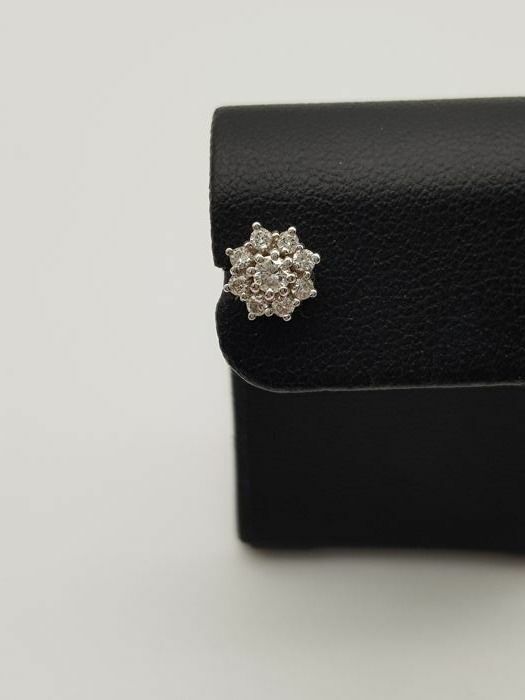 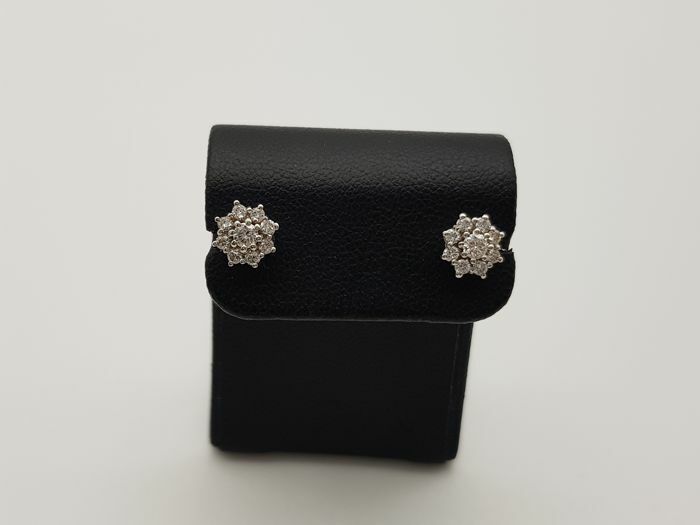 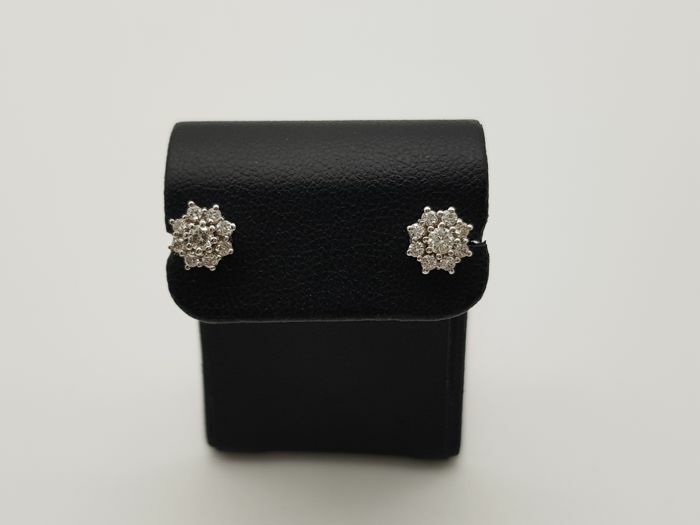 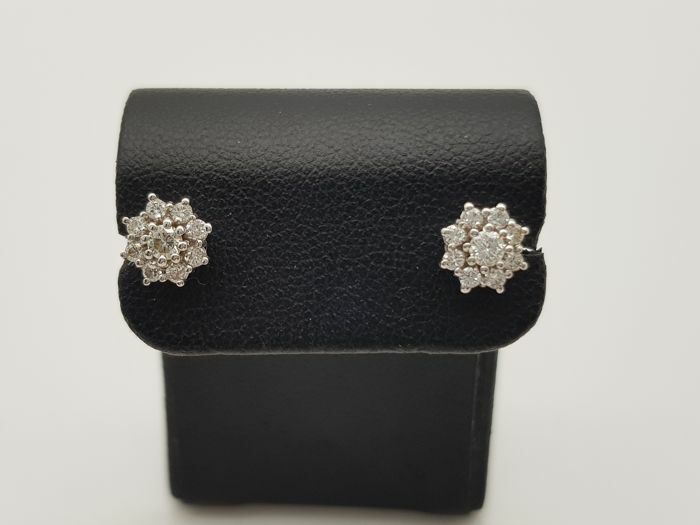 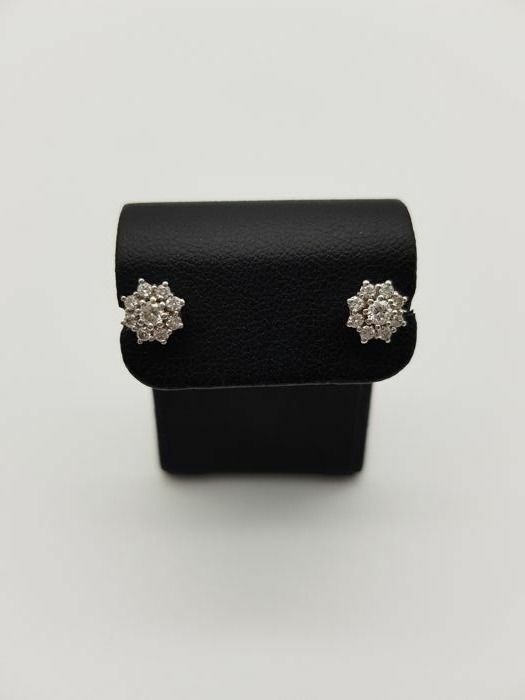 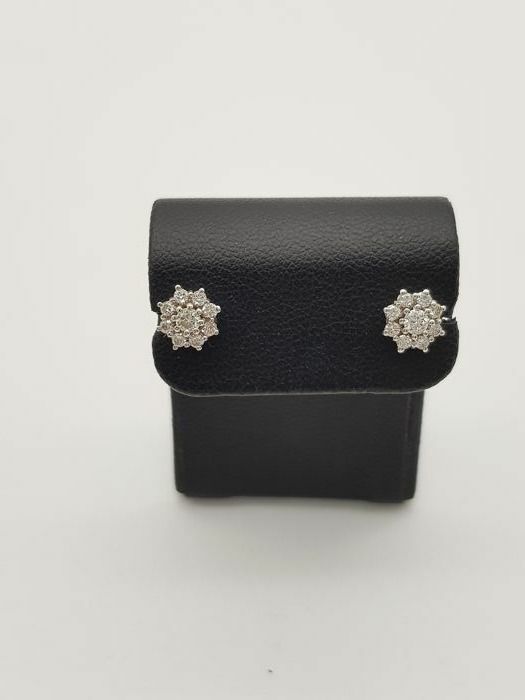 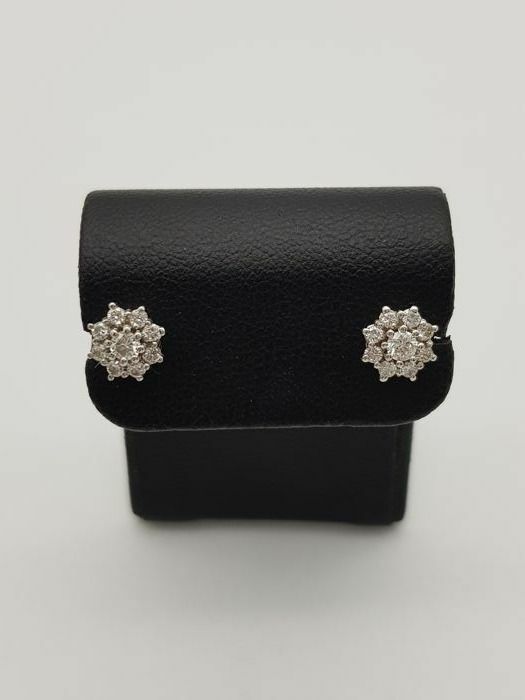 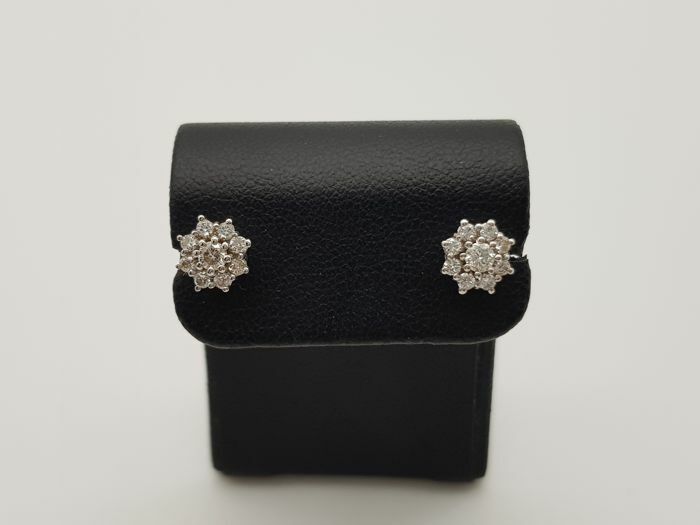 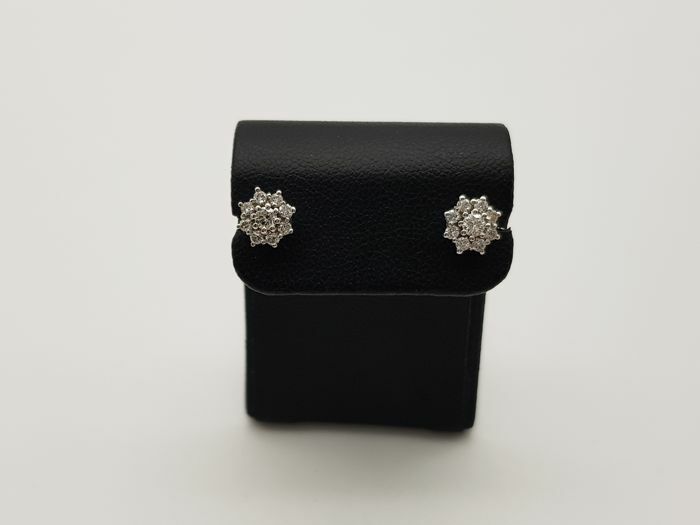 Flower-shaped earrings in 18 kt white gold with brilliant cut diamonds totalling approx. 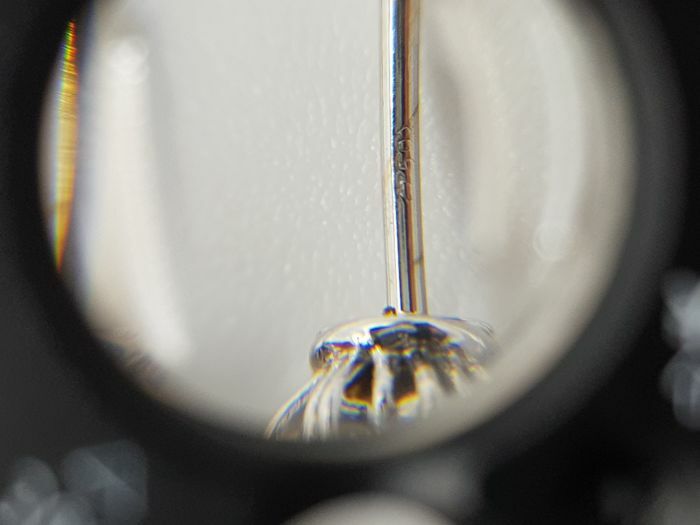 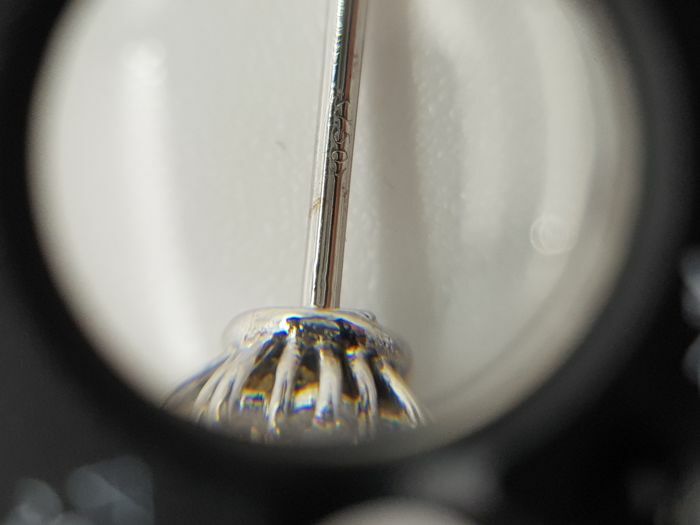 0.35 ct, colour F-G, VVS. 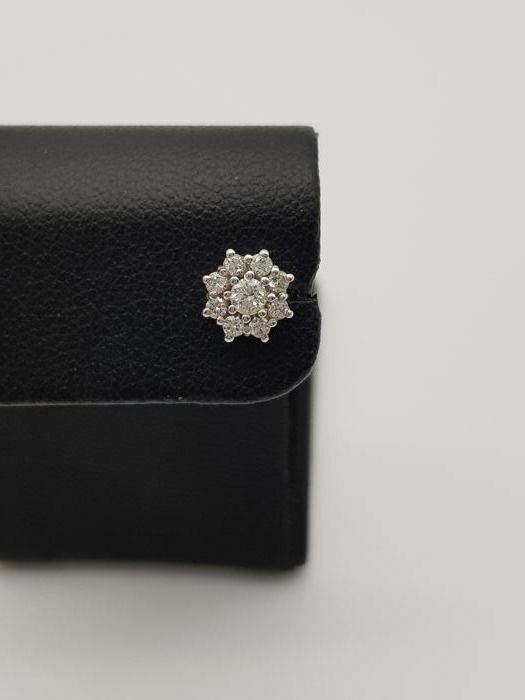 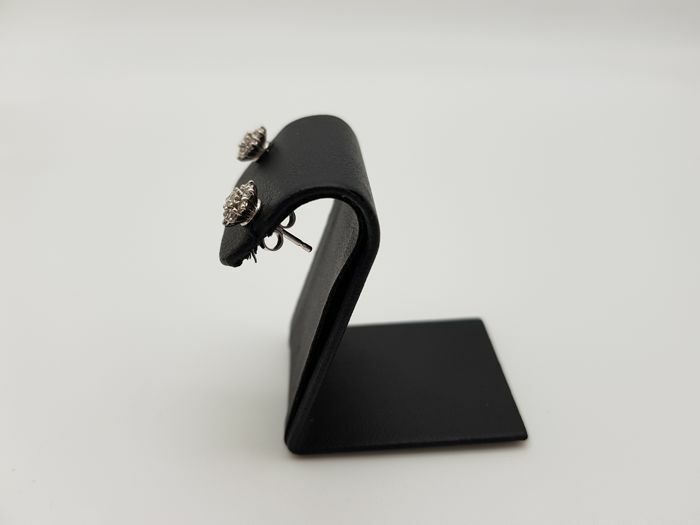 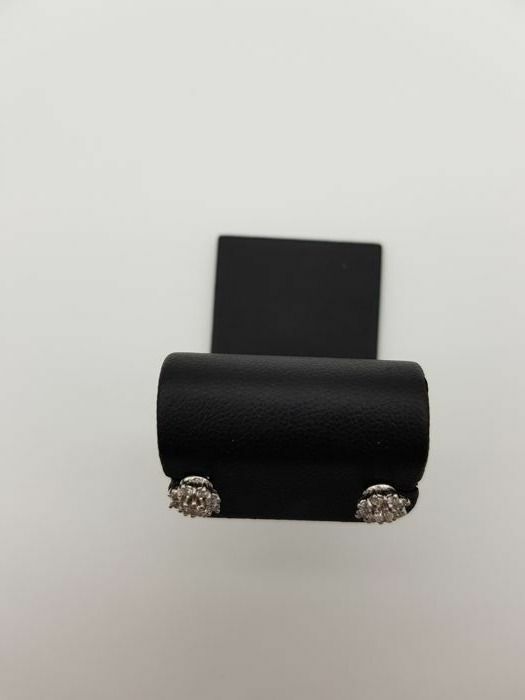 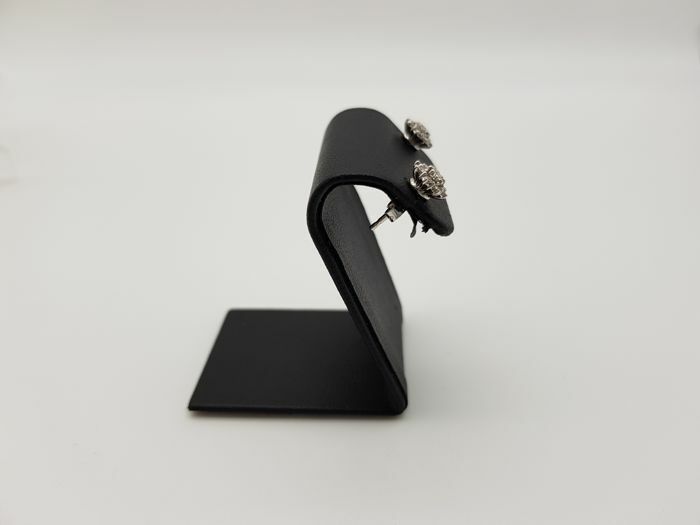 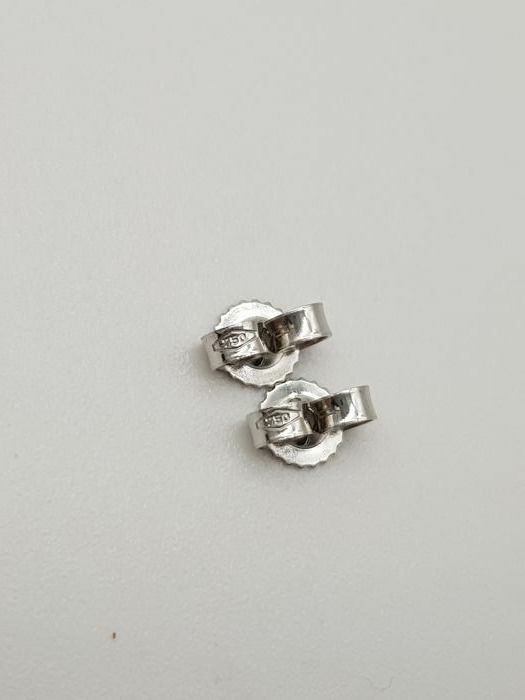 Dimensions: 0.7 x 0.7 cm. 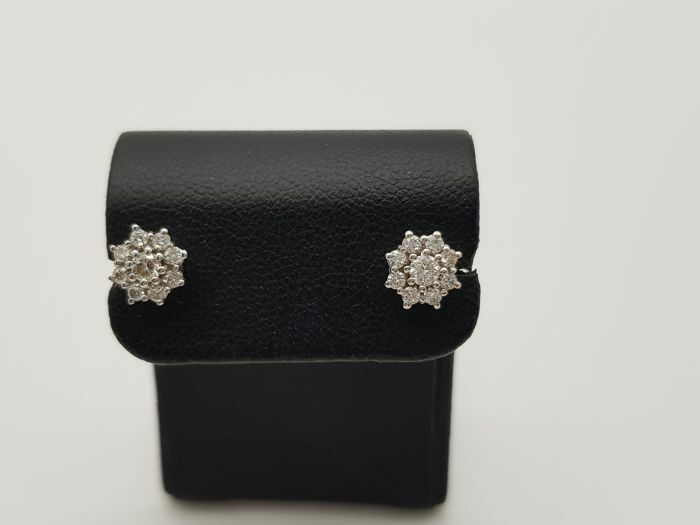 Complete with box and jeweller’s guarantee.